A delicious blend of tropical lime and coconut combined with nourishing macadamia oil. 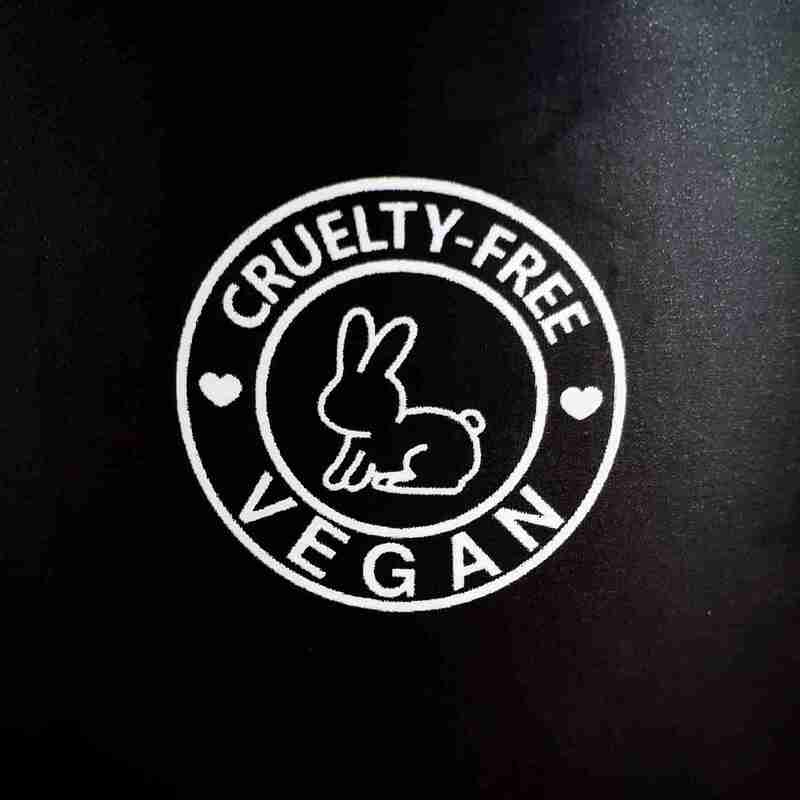 Whipped coconut oil hydrates deeply while our fairtrade raw cane sugar uses naturally occurring AHA’s to scrub away dead dull skin for a beautiful goddess glow. Our Sustainable Raw Coconut Oil + Organic Macadamia Oil soak into the skin while scrubbing to leave it feeling hydrated, nourished and beautifully soft and smooth. You can ever skip your after shower body moisturiser so not only will your skin look great you’ll save time. Bonus!!! Our sugar scrubs have a slighter coarser texture than our salt scrubs. They can be used daily for keeping skin smooth and clear. Sugar scrubs are great for rough patches of skin or blemish and ingrown hair prone spots. 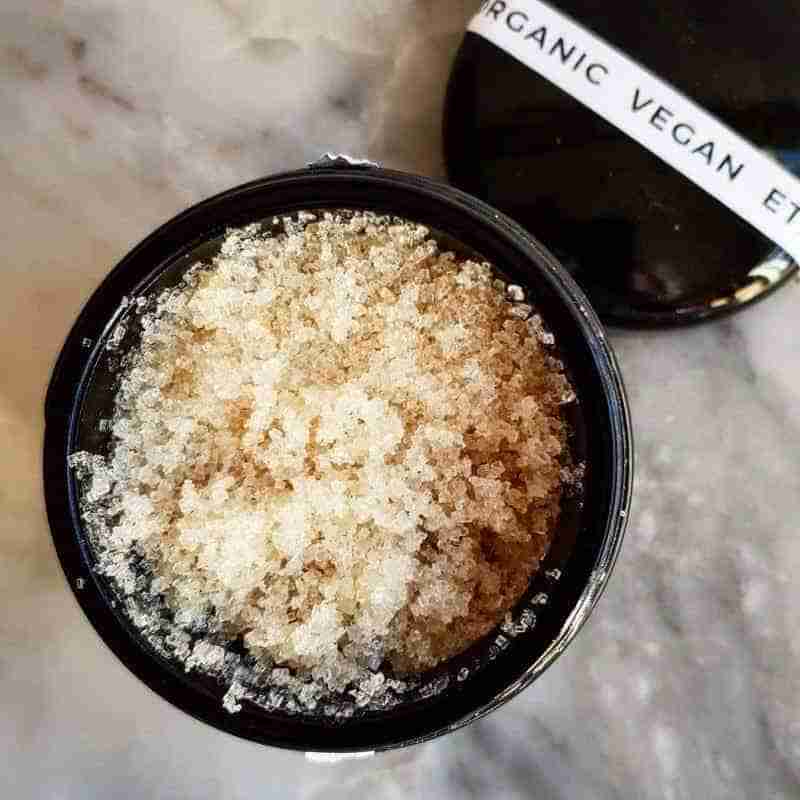 Our fairtrade sugar scrub comes packed in a gorgeous Miron Glass Biophotonic jar to extend its life and to help natural protect is from uv rays and oxidation. The jars are pretty enough to rinse out and re-use after use or you can recycle them. Its easy! Just dampen skin in the shower and and then grab a handful of scrub and rub in circles from neck to feet. Pay extra attention to any bumps or rough areas that need smoothing. Let the organic oils soak in for a moment before rinsing off under shower. If the scrub is hard due to cooler temperatures just hold in hand for a moment before applying to let coconut oil soften. Sugar contains alpha-hydroxy acid or AHAs and glycolic acid which helps remove dead cells from the skins surface keeping it clean and clear. Sugar is a natural humectant which means it keeps skin hydrated and nourished by drawing moisture into the skins surface. Coconut oil is light, nourishing and moisturising. It absorbs quickly leaving skin feeling soft and smooth. Ours is sourced from a sustainable community collective. Macadamia Oil is rich in omega 7. It helps to protect and repair skin, especially sun damaged skin. Its cell regenerating effects help keep skin looking soft and youthful. High in linoleic acid Safflower oil helps to unclog pores preventing pimples and acne. Safflower oil has hydrating properties which promote skin elasticity. Vitamin E is an antioxidant that has an antiaging effect on the skin. Koko only uses 100% natural vitamin e made from soybeans. Lime has natural detox properties that help with water retention and cellulite. It is also antibacterial and helps keep skin smooth. Orange helps promote collagen production for youthful firm looking skin. It tones and repairs too. Vanilla has antibacterial properties that help keep skin smooth and blemish free. It soothing and softening qualities help repair rough or damaged skin. These two ingredients make up an Ecocert approved plant based emulsifying wax. The cetearyl glucoside is made from coconut oil and sugarcane. The sorbitan olivate is made from olive oil and wheatgerm oil. This ingredient is approved for use in organic skincare and is used to help emulsify, or combine, the water and oil when you scrub. It is used to help protect New Zealands precious waterways when the scrub is washed down the drain.